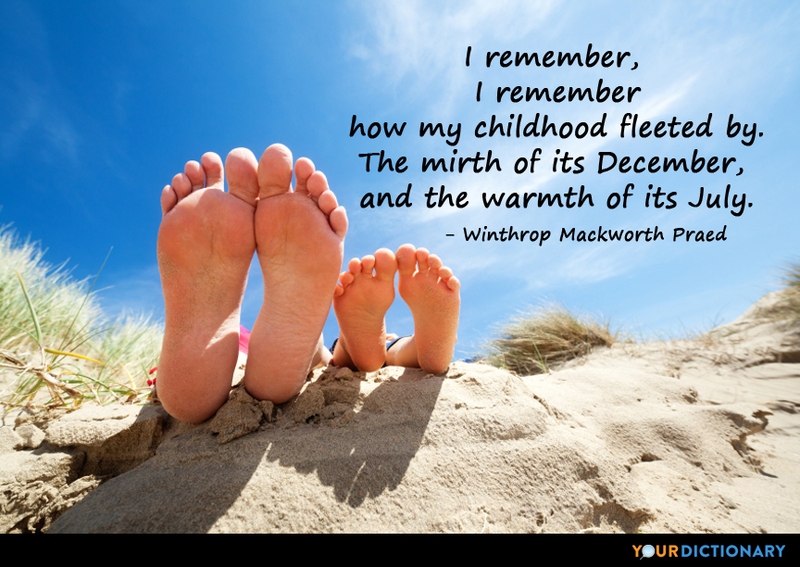 Winthrop Mackworth Praed, I Remember, I Remember. The English winterending in July, To recommence in August.  1819-24 Don Juan, canto13, stanza 42.  Arnold Hunt, curator at the British Library, says King George never kept a diary. For 40 years, I didn't miss a single deadline, but since July, I have missed every one. I also, to my intense disappointment, missed the Telluride and Toronto film festivals. Having just written my first review since June ( The Queen ), I think an update is in order. We're all looking for a plan that will work. The current plan is not working, and 21,500 additional troops -- it's a snowball in July. It's not going to work. In the latter days of July in the year 185-, a most important question was for ten days hourly asked in the cathedral city of Barchester, and answered every hour in various ways Who was to be the new Bishop?  While some people think that dissent is unpatriotic, I would argue that dissent is the highest form of patriotism. A swarm of bees in May is worth a load of hay. A swarm of bees in June is worth a silver spoon. A swarm of bees in July is not worth a fly.  Plaque left on the site of the first moon landing, read by Neil Armstrong while on the moon (20 July 1969). Of seven abortion restrictions tested in a July 15-17 Gallup poll, informing women of certain risks of an abortion in advance of performing it is the most widely favored, at 87%. Seven in 10 Americans favor requiring parental consent for minors and establishing a 24-hour waiting period for women seeking abortions. Nearly two-thirds favor making the specific procedure known as "partial birth abortion" illegal... 71% say [abortion] should be illegal in the second trimester and 86% in the third.  Gallup.com press release citing poll results on July 25, 2011. .